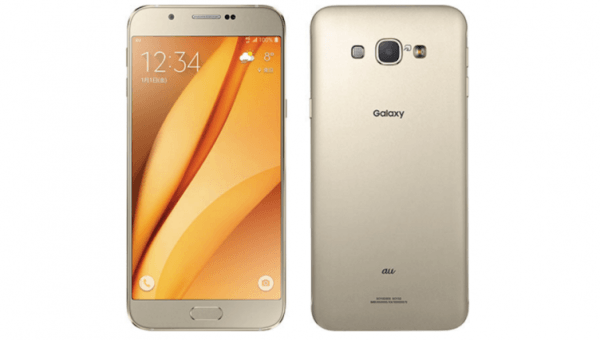 These are the guidelines to install TWRP recovery on the Samsung Galaxy A8 smartphones. You need a unique file to flash the TWRP on any other device. Do not flash this same file on a different device in the Samsung range or you might get your device stuck in a bootloop. You must have a Windows PC to follow this guide. Any Windows PC, notebook or laptop running Windows XP and up will suffice. The only exception to that is if you are running Windows RT from a Microsoft Surface tablet since the Windows RT requires you to install apps from the Windows Store only and therefore you cannot install these files from your Surface tablet. Download and install the Samsung USB Drivers on your Windows PC if you haven’t updated your drivers in a while. The drivers are the mostly common reason people cannot get guides to work when it comes to rooting and installing custom recoveries like the TWRP recovery we have here. Make sure the USB Debugging Mode is enabled on your A8 device by pointing to the Menu > Settings > Developer Options > Check the box that is made for the USB Debugging Mode on your handset. Those without the Developer Options menu readily available from the Settings menu will need to unlock that first by pointing to the Menu > Settings > About Device > Tap over the build number 7 times until it says you are now using the Samsung Galaxy A8 as a developer. Download the TWRP recovery you need from here . Download the latest version of the Odin flashing tool from here . Download both packages directly to your computer and shift them over to the desktop. – struggling to find your files? Try looking in the ‘Downloads’ folder, as it’s the default download location for your files. Once on the desktop, right-click the files at choose the “extract here” option form the menu. Double-click and run the Odin app on the computer. Turn off the Samsung Galaxy A8 handset and reboot it up in download mode. – press the Volume Down + Home + Power buttons to reach the download mode — but only if you start with the device off first. Connect the Samsung Galaxy A8 smartphone to the computer using the USB cable. Click the AP button you can see from the Odin user-interface. Browse the desktop for the executable TWRP recovery file you extracted earlier. Click the Start button and flash that custom recovery to your device. Those of you who do not get the guide working should try downloading an older version of the Odin flash tool and try again. Sometimes it takes a few different versions of Odin to work, depending on your device. Just like with most Samsung smartphones and tablets, it doesn’t matter if you flash a custom recovery or root the device first. Those of you who have not rooted the Samsung Galaxy A8 smartphone yet can do that now by following our how to root Samsung Galaxy A8 guide .